When you're on vacation, shopping is practically a rite of passage. But in Asia's many markets, where vibrant cultures and traditions abound, it's also an unforgettable experience and life lesson all in one. Here's where to go, and what to get, from South Korea to Kuala Lumpur. You can buy almost anything at the 140+ stalls that make up Incheon's indoor Sinpo International Market, from fresh meat and seafood, to shoes and clothing. But the main draw is definitely the food, and one popular local delicacy is something of a standout. Sample the Dakgangjeon, a savory dish of crispy fried chicken in a sweet-and-spicy sauce. 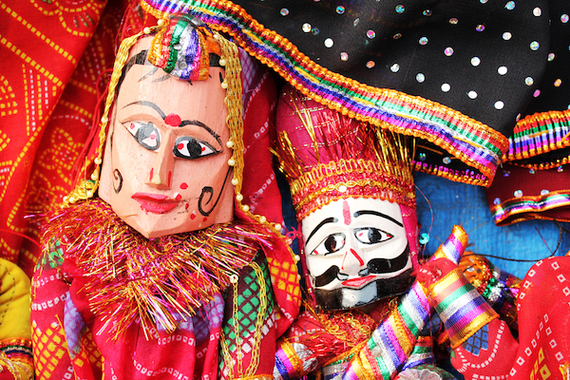 Get a glimpse of India's vibrant history as you walk through Dilli Haat. 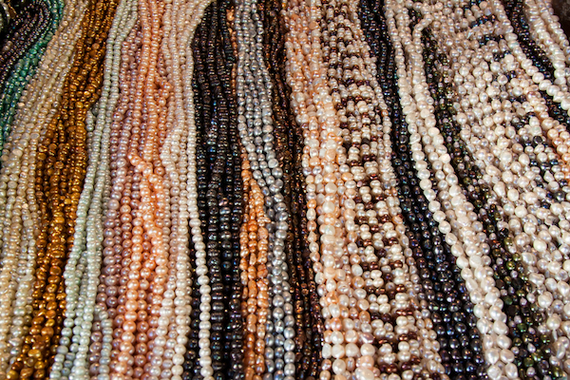 Here, you can touch, feel and taste New Delhi's cultural tapestry that these local artisans weave together through silks, jewelry, rugs, drapes and more. This market isn't your typical scene of stalls and food carts, either--it's paved with stone and brick, and decorated with flowering shrubs and eucalyptus trees. Pick up some comfortable, camel-hide shoes for your trips to the Red Fort and Mehrauli Archaeological Park. This Beijing market is a hotspot for all kinds of pearls (freshwater, seawater, cheap, expensive), which you can find on floors three, four and five. But that's not all they sell--the lower floors sell unique wares like jade, silk and electronics. The Toys City market next door's also worth a stop, and a boon for kitschy video games, stuffed animals and model kits. 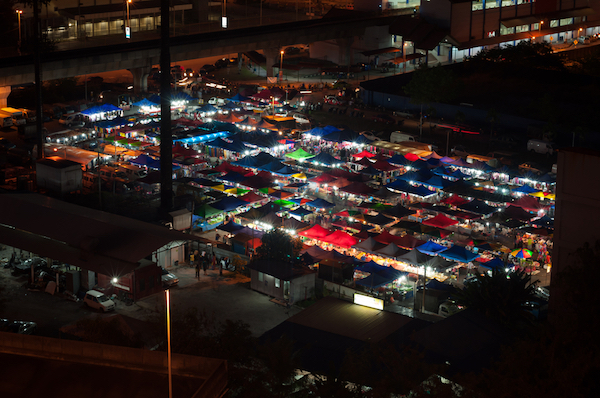 Leave the tourists behind as you venture into the Jalan Alor Night Market, a no-frills food fest in Kuala Lumpur that comes alive after the sun goes down. (It's fairly quiet during the day.) 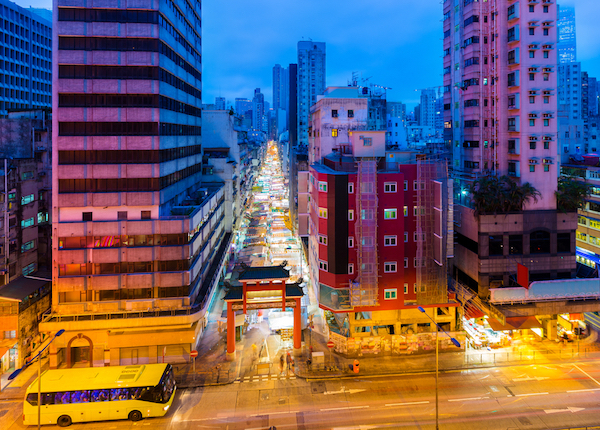 You'll rub shoulders with locals at the wai sek kai, or hawker stalls, as you dig into every street food imaginable--curries, fried fish, fish ball soup and more. We recommend the kon lo mee, a tasty blend of minced beef on a bed of noodles. Deep-fried scorpions. On a stick. You know you want to. 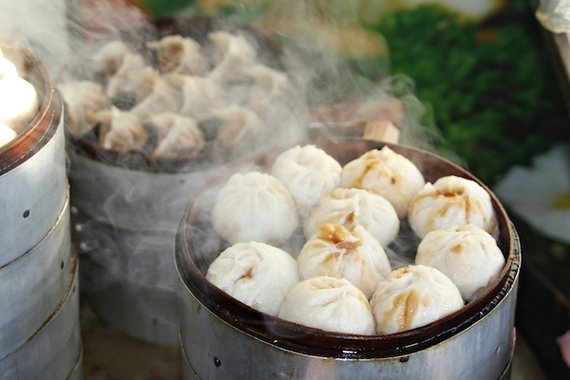 Take a walk on the wild side and give them a try at the Qingping Market in Guangzhou. Not sure? The market's also known for more serene goodies like herbal medicines, flowers and produce, all within its twelve-hundred-plus booths. 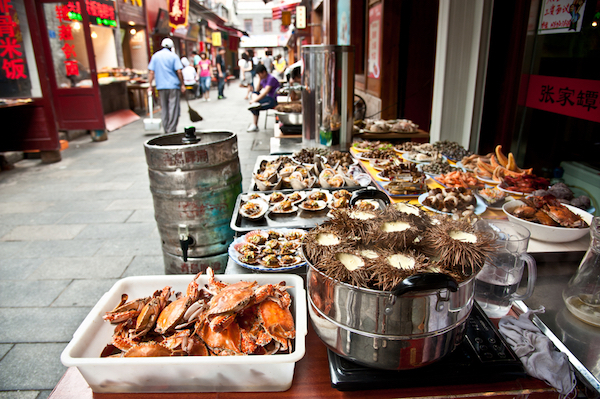 If you're feeling even a little brave, you'll find a hefty sampling of traditional Southern Chinese eats, like jarred starfish and dried seahorses. 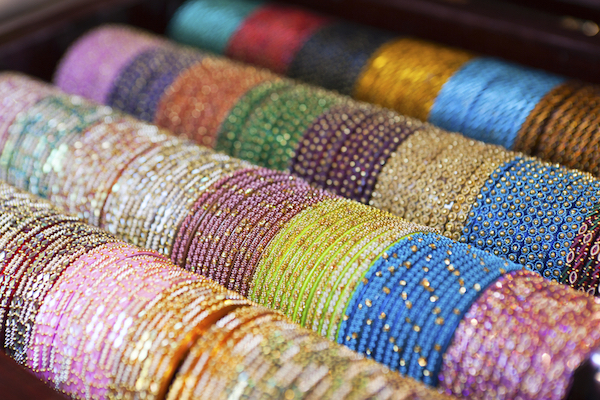 You'll have to plan your Hyderabad vacation carefully to catch this market--the Ramadan Night Bazaar happens only one month a year, during the month of Ramadan. Beneath the ornate Charminar building--a.k.a. 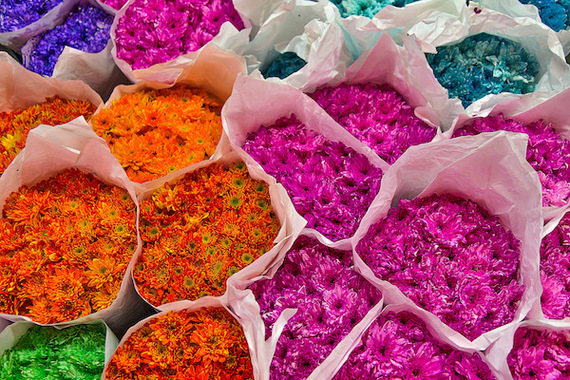 the Arc de Triomphe of the East--the market's narrow bylanes offer up beautiful bangles and ittar, a form of concentrated, natural perfume derived from botanical sources. Snack on haleem and kebabs while picking out crockery, slippers and apparel to bring home as gifts, once your new henna tattoo has dried. Get your fortune told at Hong Kong's Temple Street Night Market--it may foretell of a successful and, well, interesting shopping trip. Shoppers are occasionally serenaded by wandering Cantonese opera troupes, as they sample street food and peruse the antiques, sunglasses, cheap clothes and medicine (yes, medicine). You'll catch even more cinematic scenes around the temple, where old men gamble over chess games out front. One of the best ways to get to know Old Delhi is through the sheer pandemonium of the Chandni Chowk market, one of the area's oldest and busiest. Amid the ancient alleyways, you'll discover independent bazaars, each of which offers its own specialty. Hunt for jewelry along Dariba Kalan road, and sample parathas (Indian-style flatbread) on Parathe-wali Gali. 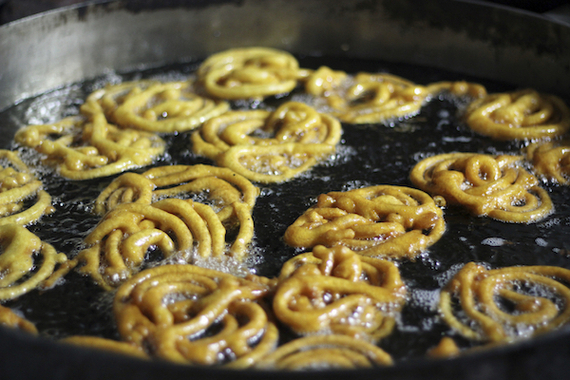 Before leaving, make sure you try the namesake sweets at at Jalebi Wala, a century-old sweetshop. These carb-loaded confections are, basically, fried dough soaked in a sugary syrup. Two o'clock in the morning may seem like an odd time for a stroll, but Bangkok's Pak Khlong Talat flower market is open 24 hours a day. This pre-dawn hour is when the day's freshest picks typically arrive, so it's also surprisingly busy with locals. We'd recommend picking up some roses, jasmine, lilies or snapdragons while you poke around, followed by a wander into Chinatown for a late-night snack.